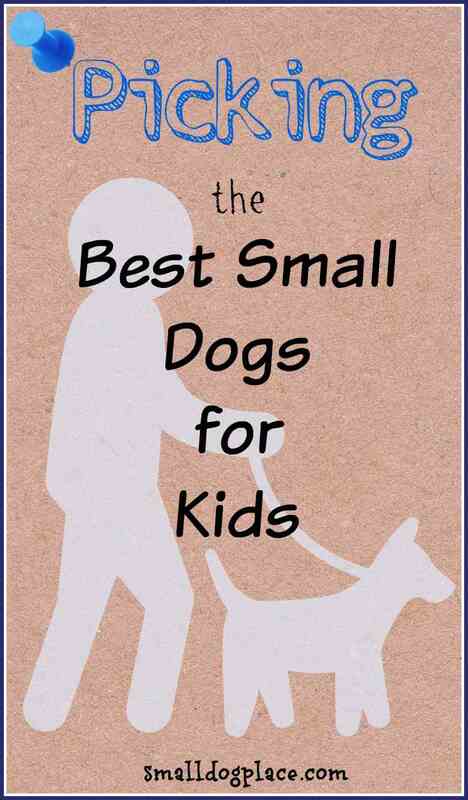 Ever wonder what a list of the best small breed dogs for kids would look like? Every dog site on the web seems to have their favorite 10 best breeds for children, many of which are very large breed dogs. Would it surprise you to know that in my opinion the list of best breeds for children far exceeds those that make it onto these short lists and many are small breed dogs? What traits/characteristics make the perfect kid-friendly dog breed. What is a Breed Profile? A List of Characteristics that are Typical of Individuals in that Breed. It would be nice to say that all members of a breed are the same, but that is wishful thinking. We can, however look at the breed and determine some general traits that are common in many if not most dogs belonging to that breed. 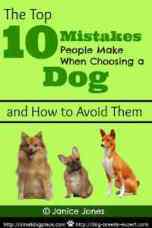 There are some breeds that are more suited to family life for various reasons. Individual breeds do share characteristics in terms of temperament and personality through years of selective breeding for certain characteristics. Some breeds are known to be somewhat high strung and wary of strangers. If you consider breed only, you might rule out the Pomeranian, Brussels Griffon, and Chihuahua due to these characteristics. Another breed characteristic that might rule out some dogs is their unwillingness to love everyone in the family. Some breeds tend to attach themselves to one person which is usually the primary caregiver, you. Miniature Pinscher and Pomeranian are good examples of one-person fur babies. Train-ability is another factor to consider and should not be confused with intelligent. Some small dog breeds are considered harder to train than others. Housebreaking is a real issue in some breeds which could be a problem if you have an infant or toddler who spend a great deal of time on the floor. The Bichon and Shih Tzu is a couple of the many small breed dogs that are difficult to housebreak. Patience is not a trait that one usually associates with a small breed dog. The English Bulldog is your quintessential patient dog. Companion dogs that have been bred for centuries to be the “pampered child” may not have it in them to be patient with a human child. Breeds that are more tolerant or easy going may be more patient. Any patient dog should easily deserve to be on the list of best small dog breeds for kids. When it comes to the dog, one must not only look at breed but also the individual dog. The dog is the sum total of his genetics and environment. Some dogs should never be bred because they have inborn temperament issues that can be passed onto the offspring. The environment side of the equation involves everything that the dog has encountered since he was conceived in the womb, birth, early weeks, his socialization prior to arriving at your home and then what happens after he arrives. A puppy from a very reputable breeder who has excellent bloodlines and who provides extensive socialization is going to fare better with your children than the puppy with a questionable background and little socialization even if both are members of the same breed. Consider a dog from a nice clean pet store. Cute and fluffy, but where did that dog originate. Most pet stores will tell you that the pup came from a local breeder. No reputable breeder would ever deal with a pet store, so it is likely that the pup was trucked in from a large commercial breeding facility (possibly a puppy mill. So even if the breed falls into our list of best small breed dogs for kids, that individual dog just might not make the grade. If you are considering an adult dog or even an adolescent, his life prior to meeting you will be longer with more diverse experiences, good and bad and will have an even greater bearing on how well the child – dog relationship develops. Of course, what happens after the puppy arrives depends on you and the time you devote to training the puppy and the amount of socialization, you are willing to do. The more the better! A well-socialized trained dog is going to do better with children regardless of the breed. Speaking of training, we should mention the training (education) that goes along with dog ownership. No child should be expected to know how to handle a dog if they have never had one. That perfect child—dog bond develops as the child learns how to handle the dog appropriately. Not only does the dog require training, but also the child needs to learn how to treat the dog in a way that enhances the relationship. Your child also needs to learn that there are things that are OK to do with the dog and those that are not. You might consider yourself the pack leader, but your child should be taught to be the mini pack leader. This is no small task, I might add. If you have a very active toddler and an energetic dog, it could be match made in heaven, but beware; it could go in just the opposite direction. Children must understand that they are always above the dog on the social hierarchy. When considering dog training, it is important to include children in the process so they learn how to properly give commands and respond to the dog in appropriate ways. Finally, the personalities and temperament of the children should also be taken into consideration. A breed that complements the temperament of your child might make the perfect match. No dog deserves rough treatment by a child and small dogs especially need to be supervised around very small children. 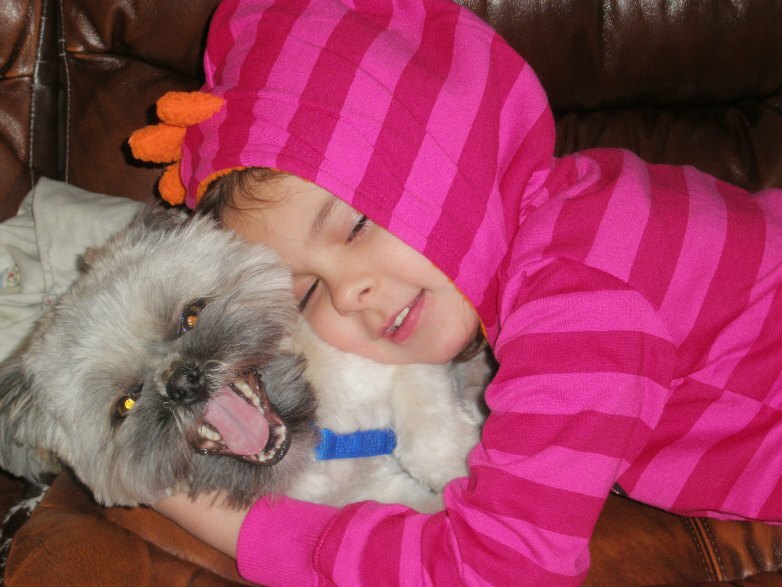 A calm quiet child is likely to do better around a dog with similar temperament traits. 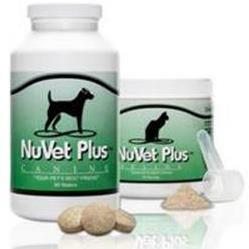 Very active children will want a dog that enjoys active play. Some breeds are more active than others are so that should be a consideration when choosing the right dog. 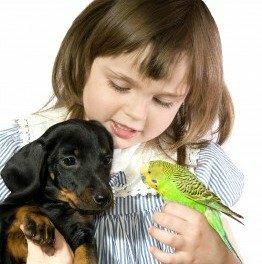 Choosing the best small breed dogs for kids gets easier when you match or compliment personality traits of the child and the dog. Now let us look at those personality traits of dogs that make the best breeds for children. As I looked through the long list of purebred small breed dogs, there were some that seemed to have more of these traits than others. These child friendly traits helped develop this list. There are some dogs that belong to these breeds that should never be around children and there are some breeds not mentioned on this list that would make fine family pets. Again, I must return to my first premise in that it is not so much the breed as the other factors combined that make the perfect family dog. We've analyzed every breed on this site to determine which ones are great, which ones are satisfactory and ones that may not work. Here is our list of best small breed dogs for kids.